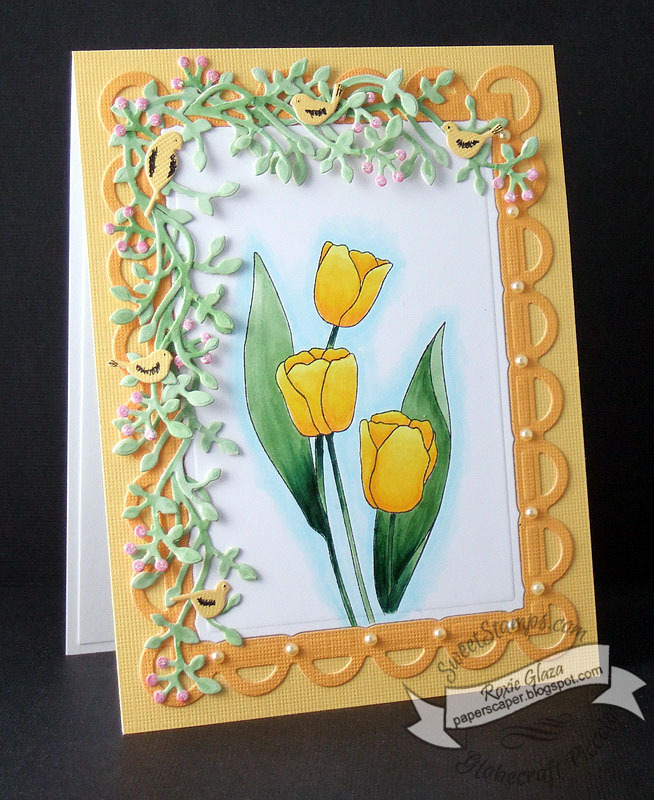 Today's card features the Triple Tulips image, one of my favorite SweetStamps images and it's so quick and easy to color. I used Copis for coloring. Such pretty tulips, Roxie! Your frame and corner embellishments are amazing too! This is gorgeous Roxie! Fabulous coloring and I love the little birds!! How lovely! The leaves and birds are a great embellishment for the flowers! What a gorgeous design, beautiful coloring on the tulips and love the added vines, birds and pearls. Your card is beautiful. Love your tulips. Thanks for sharing.